For the ninth year in a row, tattoo artist Dave Munro donated his time, skills and studio to raise money for those forced to travel to St. John's for treatment. For the ninth year in a row, tattoo artist Dave Munro donated his time, skills and studio to raise money for cancer patients forced to travel to St. John's for treatment. "I had a difficult time dealing with the loss of my brother," Munro said. "As a coping mechanism on his birthday I decided it would be better to work than dwell on my own thoughts." Picking the closest Saturday to his late brother's birthday, Munro and other tattoo artists donate their time and talents to ink people for a good cause. "The fundraiser we're doing is a tattoo marathon. We charge $100 for the tattoos all the money that is raised goes to Daffodil Place," said Munro. Daffodil Place offers people diagnosed with cancer a place to stay while they receive treatment. In the past eight years Munro's Trouble Bound Studio has raised nearly $60,000. 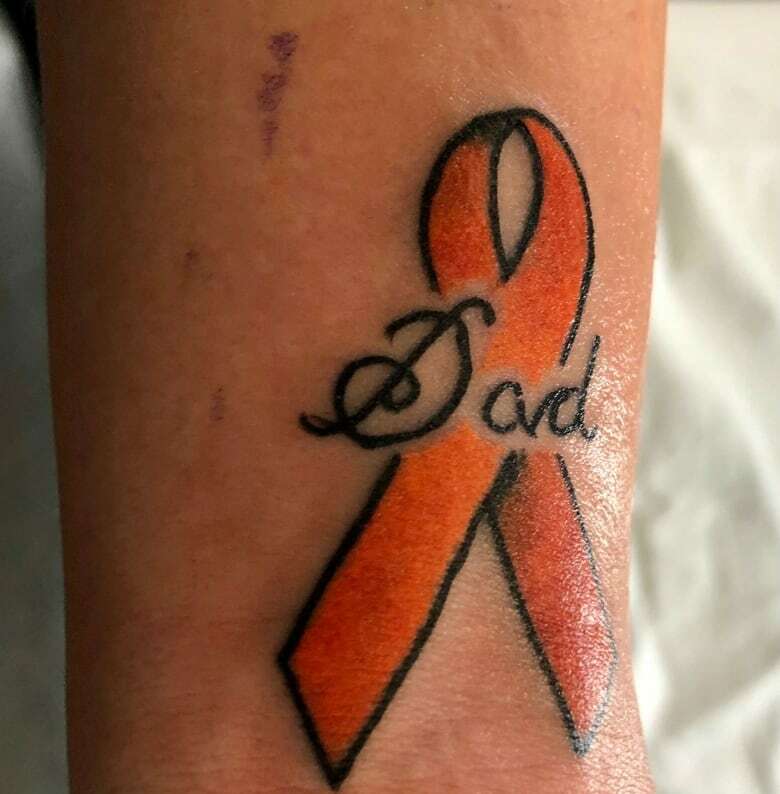 Springdale resident Andrew Walker was one of the 45 people scheduled to get a cancer ribbon tattoo on Saturday. He said he'll soon drive his grandfather to St. John's to stay at Daffodil Place for a month. "My grandfather has had cancer like, eight times now," Walker said. "As soon as I saw this fundraiser I knew that it was something that I wanted." Walker chose "Pop", while Blair Brush picked "Dad" for her father who died of leukemia in September. "It's amazing," an emotional Brush said.